Many people will agree that launching and successfully running a small business is by no means, a cheap undertaking. Whether you need money to start your small business and get it running or just need cash to buy new business equipment and other inventories, chances are you need more capital than you probably have in your bank account to keep your business running and moving in the required right direction. However, where do you get the cash to pump into your small and growing business? It is the biggest challenge that small business owners have to deal with on a daily basis. As a small business owner, there is no need for worrying. There are a variety of micro, small business loans that today's small business owners can access in injecting the much need capital into their businesses. Whether it is the government-backed loans or any other microloans from merchant credit card processing providers and alternative lenders, your small business needs it. Apart from the fact that micro, small business loans come in typically very small amounts, most micro-lenders provide their loans at fixed and reasonable interest rates. Small business owners no longer have to worry about having to deal with fluctuating interest rates that are common in traditional business loans. 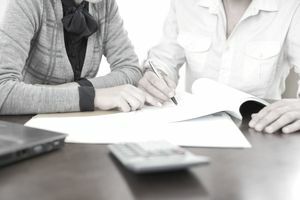 Putting into consideration that many small businesses are upstarts and need to set strong foundations within the markets, micro-lenders provide flexible repayment options that give small business owners the ample time to repay their loans. In most cases, you will find that micro-lenders offer small businesses the option of repaying their loans in a period ranging from 12 months to 10 years depending on the loan amount. Many micro-lenders are always on hand to provide small businesses with amazing consumer programs that are perfectly poised to elevate these business endeavors. They will enhance small business owners with knowledge of financial management, as well as inform them about any available subsidies. Again, micro-lenders will advice small business owners on the terms of the microloans, as well as on any government scheme. Small business owners are also likely to be provided with facilities such as insurance and payment settlement systems. Even though the SBA microloans program does not provide loans directly to small businesses, they work with designated micro-lenders (mostly community banks) to ensure that small business owners can access loans. There are many other widely known lenders that provide micro, small business loans to very small businesses and even to home-based businesses. They work with various small business owners to help build their businesses. Whether you have a perfect credit score or poor credit score, Micro Loan Lenders are a viable option for getting the funding you need. With its headquarters in San Francisco, WISE has been at the forefront of microloans since 1998. This non-profit organization has helped thousands of women entrepreneurs grow their small businesses. They offer mandatory 11-week training courses before disbursing funds to applicants. Other reputable micro-lenders to consider include; Justine Petersen Housing, Opportunity Fund, Business Center for New Americans and ACE. As many small business owners will confess, a small microloan can ultimately make a huge difference in the success of the business, especially if the funds are invested wisely. The providers of micro, small business loans are always on hand not only to provide you with loans but also to offer advice to help your small business grow. For small business owners, it is perfectly advisable to explore ways of getting microloans to grow their businesses.